Among the most common aftermarket upgrades done to most Jeeps is a lift kit to accommodate larger tires. 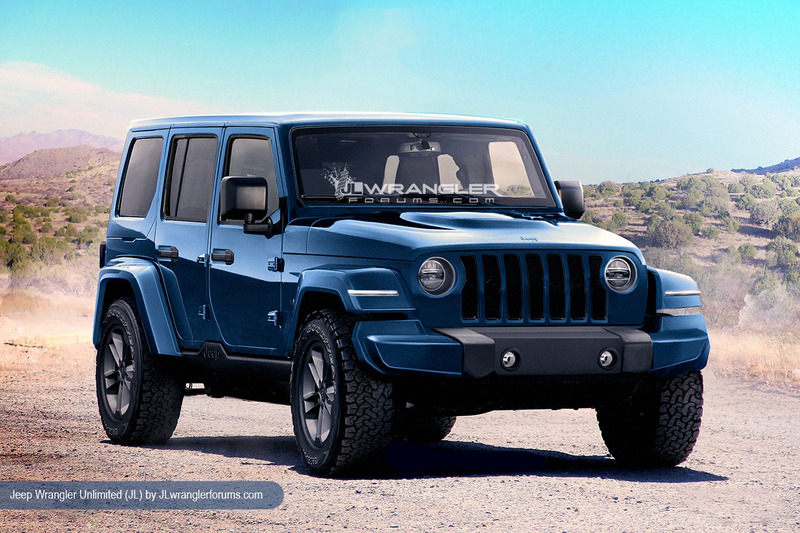 The new JL Wrangler is rumored to have a higher fender line to allow for slightly larger tires, creating the possibility of running 35” tires on a stock suspension. That would then require an aftermarket lift for 37” and over tires in most cases. This in turn will make an aftermarket lift kit a debatable 2018 Wrangler upgrade for most owners looking to go to just a 35” tire. However, JL owners looking for more suspension articulation on the trail will make adding a lift kit a no brainer. When discussing larger tires, it’s important to note that although the JL Wrangler will retain the traditional tailgate mounting for the spare tire, the rumored 2019 JT Wrangler Pickup will have the spare located under the truck bed. This could be problematic if you plan on running larger tires on the JT and something that the aftermarket world will be focused on, as more information of the JT is released. Another group of JL parts that will be a hot upgrade on the 2018 Wrangler are aftermarket bumpers. 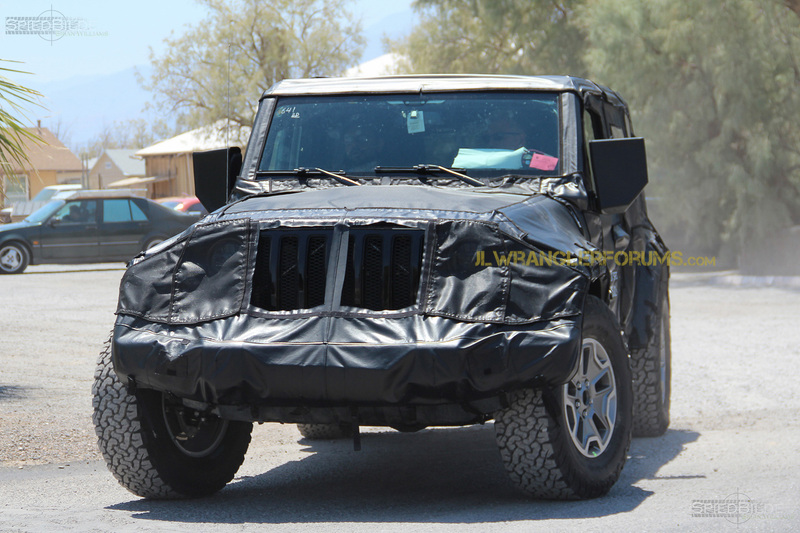 Some of the recent spy photos seem to indicate that Rubicon models will be equipped with a similar modular steel bumper found on the JK Hard Rock editions. 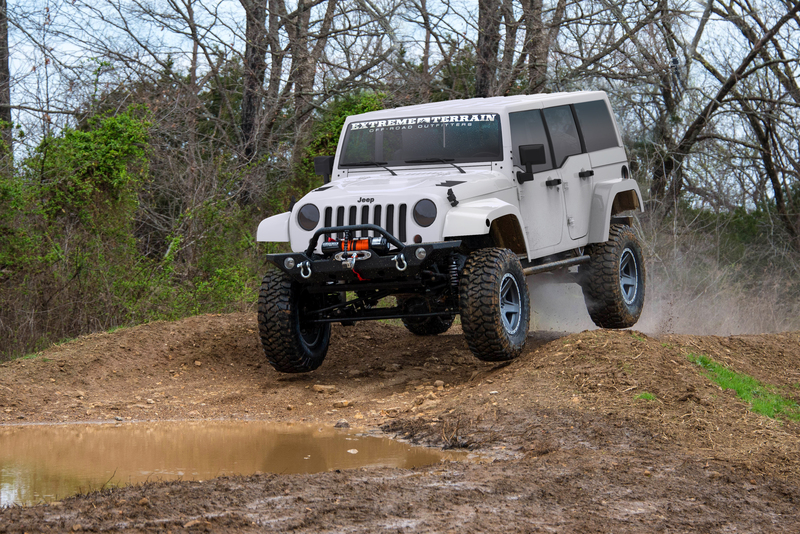 This factory option certainly appeals to most Jeep owners looking for a steel alternative to the plastic bumper, but still offers the versatility to shorten the width and overall weight. Aftermarket bumpers will certainly still have a significant demand, but overall frame dimensions will dictate their style and function. Rear bumpers with incorporated spare tire mounting solutions will also play a role in upcoming potential JL parts. Larger tires are heavier and require a stronger mounting location. Jeep has recently looked to address that with recent factory reinforced tailgate solutions. It will be interesting to see if the reinforced tailgates will become a standard option on the 2018 JL Wrangler, or will this be an opportunity that the aftermarket will look to fill. Lighting is another popular aftermarket option for most Jeep owners. Jeep seems to recognize the demand for auxiliary lighting and has incorporated a factory switch panel for auxiliary equipment, which can be seen in recent interior spy photos. The JL Wrangler will have a rumored raked windshield that will still be foldable, requiring the need for an exterior hinge like past models. The exterior hinge bracket has always been a great mounting location for small pillar lights and it seems like this option will remain among possible 2018 Wrangler parts. In addition to the pillar mounting location, Jeep has repositioned the turning signals from the grill over to the side mirrors, allowing for larger auxiliary lighting on the front bumper. The relocation of the turn signals could allow for the possibility of a light bar that can span the width of the bumper, considering that it would no longer block the old signal location. These are just a few of the high-level aftermarket areas most commonly seen on Jeeps these days. The new Jeep will in no doubt open the possibility for a larger variety of 2018 Wrangler parts, as the market adjusts after the Jeep’s launch in November. Let us know what you think could be additional JL parts that could be game changers in the coming model. What do you think are going to be the most popular upgrades on the 2018 JL Wrangler? Comment what we missed below! When are aftermarket lifts hitting the market.. I see 2 and 2.5 inch lifts available but I’m looking for 3.5 or 4 inch lifts.